There is a huge market niche between mobile devices like the iPhone and laptop computers. More than any PC product in recent memory, devices like the Netbook and iPad are a "game-changers", with their super-sleek design, portability, and software designed to take maximum advantage of the Internet. These devices are trying to address two markets at once: low price and small size. Most netbook computers are selling for less than $400, with tablets selling for about 60% more less with an Internet Service contract, and are much smaller than the typical laptop. The timing is right for these products. Surveys find that the average teenager is already online an average of five hours a day. The netbook era began in earnest last year with almost 12 million units sold. Now, almost every PC maker offers the tiny laptops. Current forecasts call for 25 million netbooks to be sold this year, in an otherwise depressed tech economy. The global PC market saw an 8 percent drop in shipments in the first quarter of this year, caused primarily by poor desktop PC sales (iSuppli), but netbooks saw an increase in sales of about 10%. In the tablet market, research firm Gartner said it saw Microsoft winning a little more than 4% of the market in this year, with its upcoming Windows 8 platform, while market leader Apple would control 61% of the market and Google's Android platform 32%. The research firm said it expected Microsoft's market share to rise gradually, helped by enterprise purchases, but to reach just 12% in 2016. "Many vendors will wait for Windows 8 to be ready and will try to enter the market with a dual-platform approach, hoping that the Microsoft brand could help them in both the business and consumer markets," according to Milanesi. Nokia, once the world's largest cellphone maker by volume, is set to unveil its first tablet using Windows 8 software later this year. Gartner said it expected the market to roughly double this year, with all vendors in total selling 119 million tablets. This class of devices must make compromises in order to stay inexpensive and small. This sometimes includes less RAM, no DVD or CDROM, and a smaller hard drive. The display is usually 7-8 inches with a vertical resolution of 600 pixels. The price can also be reduced further by using Linux instead of Windows XP. Vista is generally a very poor choice for most Netbooks; it needs too many resources, and results in a very slow response. ABI Research predicts that approximately 140 million netbooks will be sold in 2013. In the Netbook market, price is extremely important. Since budget conventional laptop computers running Windows XP can be purchased for about $500, the netbook vendors have a great deal of pressure to be inexpensive. Smartphones will compete at the lower price points. And there undoubtedly will be much overlap between the platforms. First, the world economy is stagnant, so the price of anything, including computers, is more closely scrutinized by the consumer. The second driving force is the availability of an alternative microprocessor (many), operating system (Linux), and software environment ("Cloud Computing"). There are several parts to this argument, and this is a case of the total impact being greater than the sum of the parts. History will undoubtably call this development the "Atom Generation". Currently there are several significant competitors in the Netbook microprocessor market. Intel's Atom is selling very well in spite of the slowing economy. The Atom CPU family has modern functions (i.e. EM64T, SSSE3) mated with older x86 architecture. Power management and price are emphasized, but at the expense of performance. The Atom was designed to compete with the new generation ARM microprocessors currently marketed by the likes of Texas Instruments and Freescale. But the Atom, with its x86 legacy, can make use of the latest Windows versions and benefit from broader software compatibilty than the ARM CPUs. AMD’s has finally begun sampling to device makers the embedded G-Series processor which consumes less than 9W of power and includes dual 64-bit x86 CPU cores, an ATI Radeon GPU, system and DRAM controllers, PCI Express, and High Definition video interfaces into a package that occupies about half a square inch of PCB space. VIA's new Nano CPU (x86) aims to take its share with a cost competitive, faster version of the Atom. Via upgraded their specifications at April's Embedded Systems Conference West. Via has modified the microcode of the Nano CPU, which boosted performance and lowered power consumption. The Nano is expected to announce several design wins by the end of the year. Already in the Via camp are Samsung, with its NC20 netbook, and Dell with a Nano based blade server. "Intel's new Core processors and AMD's new Athlon processors are ramping, and at a time when, IDC believes, consumers and corporations will be anticipating a much healthier 2010 and looking for more value than just low price in their PCs. Intel's low-end Atom processor for netbooks represented 20 percent of the chipmaker's mobile PC processor mix in the first quarter, down from 24 percent in the fourth quarter of 2009." Shane Rau, IDC. The latest player is Freescale (formerly Motorola). Freescale calls its microprocessor the i.MX515. The unit benchmarks at 2100 Dhrystone MIPS at speeds up to 1GHz. It also uses 1/3 the power and will sell for 1/3 the price of the Atom. The i.MX515 is of the "ARM" class of microporcessors. An ARM netbook should have about an 8 hour battery life, as compared with two hours for an Atom netbook because the ARM chip has been designed from the beginning to be power efficient. 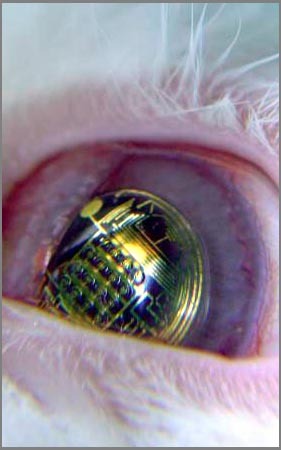 It is very likely that the cell phone you currently own has an ARM processor as its brain. The drawback behind the ARM processors is they are limited in application compatibility, for example, a computer using an ARM processor cannot run Excel. Warren East, CEO of ARM, estimates that ARM CPUs will be sold in six million netbooks in 2010, about 20% of total netbooks sales. Intel architecture CPUs will hold about 95% of the netbook market in 2009 (over 22 million units), but ARM microprocessors should gradually overtake Intel over the next 3-4 years. Intel will make an estimated 31 million netbook CPUs in 2010, while ARM designs will command about 8 million units. By 2012 Intel will ship about 43 million CPUs while ARM will make 53 million units, (ARM 55 percent, Intel 45 percent). (Robert Castellano, The Information Network (New Tripoli, Pennsylvania)). Netbook vendors using ARM processors are marketing their products as "smartbooks". Microsoft does not plan a Windows version for ARM, since these CPUs do not comply with the x86 instruction set used by Intel and AMD. ARM machines will instead use Linux, Google's Android and other operating systems. Microsoft does offer a version of Windows Mobile that is compatible with ARM, but does not plan to adapt that product for the netbook. A system equipped with any of these microprocessors is very low power consuming (the idle current is less than 50 Watts), and is multimedia capable. All are compatible with advanced DDR2 RAM and supporting chipsets. "We see a huge opportunity in the netbook market as consumers demand more cost-effective and higher performing solutions," said Lisa Su, senior vice president and general manager of Freescale's Networking and Multimedia Group. The Atom comes equipped with 56KB L1 cache and 512KB of L2 cache. The Nano has 128KB L1 cache and 1MB L2 cache. The Freescale microprocessor has 64 KB L1 cache and a 256 KB L2 cache. Benchmark tests show that an Atom PC is nearly comparable to a Celeron PC, but the Nano is faster than the Atom on most benchmark tests. Be sure to check the model of CPU when comparing these units. For example, the VIA microprocessor benchmark tests were performed with top-of-the-line units (1.8 GHz), buts some vendors like Samsung are using a lower performing module (1.3 GHz). A system equipped with one of these microprocessors is capable of SDTV video replay. This is important, because the price difference between a portable DVD player and a netbook continues to shrink. Via has claimed in marketing releases that it is capable of HDTV (even 1080p) playback, but independent tests have disputed this claim. Intel's next generation Atom class microprocessor is almost ready. The product, code-named "Moorestown," marries the low-power Atom processor with a graphics processor and a memory controller. This should enable Intel to compete well in consumer electronics and wireless gadgets like genius-class cell phones. Moorestown will offer similar performance to the current Atom, but with a 50x reduction in idle power, and a 3x reduction in power when processing High-Def video. According to Intel CEO Paul Otellini, "The market is coming to us more than we are chasing after the market". Marrying computing power to the mobile world is a lot easier than utilizing a chip designed for mobility and adding the ability to handle computing applications. "All consumer electronics, and I mean all, are aimed at bringing the Internet into devices". Intel has been worried that the netbook market would cannibalize the conventional laptop market, but Intel's latest estimates conclude that only about 20% of netbook sales, would have been laptop sales, had the netbook never existed. Ubuntu is a powerful, user-friendly operating system based on Linux. Linux operating systems were only for the masochistic a few years ago. Now, Ubuntu is an elegant solution for laptops computers. It contains all the applications you want including a web browser, and it includes open-source presentation, document and spreadsheet software. The best thing about Ubuntu is that it is free. Dell Computers estimates that one-third of its Inspiron Mini 9 systems are shipped with Linux instead of a Microsoft operating system. Moblin is an Intel's version of an open-source operating system (OS) for netbooks. Moblin is designed specifically for the Intel Atom CPU (x86), that currently has the lion's share of the netbook market. Moblin is a Linux OS, but with significant enhancements to the user interface. It is also free. A hybrid of Moblin and Nokia's OS, Maemo, will be called "MeeGo". MeeGo is expected to make its commercial introduction in time for the 2010 Christmas shopping season. MeeGo is designed for both Intel's Atom and ARM microprocessors. Google is also a player in the netbook OS market with a product called "Android". Android is designed for use either with smartphones or "mobile internet devices" (MID). Acer computers (Taiwan) has announced plans to market a line of Android netbooks later this year. "The Android operating system offers incredibly fast wireless connection to the Internet,” said Jim Wong, Acer, President of information technology global operations. Acer has demonstrated that the Android netbook has a very fast boot-up time (~18 seconds) and a less than 1 second shutdown. Microsoft's strategy for netbooks is to market a crippled version of Windows 7, and then encourage the purchase of optional features. Microsoft will sell several editions of Windows 7 for netbooks. Microsoft had originally planned to limit the most basic Windows 7 version, called "Starter Edition", to only run three programs at a time, but they backed down from that position due to complaints from the market. But Windows 7 Starter Edition will not allow use of more than one monitor, support Windows Media Center for the watching of recorded TV, or contain a number of other features. Microsoft points out that its more advanced Windows 7 versions will also work on netbooks, but for a premium price. Microsoft has banned netbook OEMs from utilizing hybrid storage solutions (both SSD and HDDs) with Windows XP. This restriction will join the already enforced rule which limits netbook manufacturers to a maximum of 1GB RAM with Windows XP. The netbook is a problem for Microsoft. Currently, if a netbook uses a Microsoft operating system, it is XP (not Vista), and Microsoft's profit margin is much thinner for XP. More troublesome, many netbooks use Linux or Google's Android, completely bypassing Microsoft. Microsoft recently announced the first sales decline ever for Windows. Microsoft blamed netbooks for the historic drop. In the United States and many parts of the world, it is becoming increasingly possible to assume a broadband Internet connection. This is more of a challenge for netbooks since they are portable. Tethering (using a cellphone as an internet modem) will play an important role. WiMax and LTE, next generation broadband wireless services, will be implemented in large cities in the U.S. over the next two years. These technologies will fill the gaps of internet access. WiMax requires a new network to be built whereas LTE is an evolution of existing WCDMA/HSPA networks. The upgrade to LTE makes it a natural choice for many telecom carriers. Verizon will launch LTE in two cities before the end of this year, and in as many as 30 metropolitan areas in 2010. LTE can provide a maximum speed of a 80 Mbps, about 25 times faster than the current networks. Verizon will use the 700MHz frequency band that was previously used to broadcast TV. The reliance on Internet services to provide technologies that have been conventionally thought of as on-board, is sometimes called "Cloud Computing" or "Software as a Service" (SaaS). Examples of Cloud Computing services include Salesforce.com, NetSuite.com and Google Apps. These business applications are accessed online while the software and data are stored on the servers. Some of the services are free, while the others are on a pay by use structure. SaaS is consistent with current trends of centralized databases and mobile devices like netbook computers. The use of this software environment enables the user to minimize the cost of capital expenditures for hardware and software. For example, graphics applications can require significant hardware and software resources. If these applications are accessed via the Internet, those resources can be provided by the on-line application. SalesForce.com has both a paid service, and a reduced-feature version that is free, called "Mobile Lite". SalesForce.com estimates that it may add 1 million new customers with the Mobile Lite version, and that many will choose to upgrade to the full featured paid version. Microsoft has entered the SaaS arena with free Web-based versions of its Office suite, including a Word, Excel, and Powerpoint. Microsoft will make money by including commercials. For the business customer, Microsoft will host an Internet business version of Office, charging companies for a small fee. Ericsson has engineered the ability to remotely prevent use of a Netbook when it is equipped with one of Ericsson's latest generation of modems. Ericsson calls this function a "kill pill". The technology can also be used to secure corporate data if the netbook is stolen. The kill pill becomes more relevant as telecom companies are subsidizing the purchase of netbooks, in return for a monthly Internet access fee (for example AT&T-RadioShack is selling an Acer netbook for $99, but a 2 year contract at $60/month for wireless access is required). The netbook market is about to swallow the E-Reader market (Kindle). A startup called Pixel Qi has introduced a display that should allow a netbook to include the needed features. 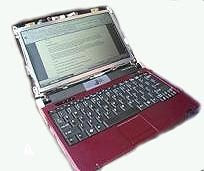 A netbook that is capable of E-Reader function is a natural. E-Readers are priced at levels comparable to a netbook. Products from Sony and Amazon range between $299 and $359, and the upscale Kindle DX retails for $489. Add the ability to surf the Internet, watch movies, and answer Email, and the potential for a hybrid device is obvious. The screens should be available on netbooks by the end of this year. The new netbooks will be designed to include e-reader functions that will probably include a display that can swivel to cover the keyboard. said John Ryan, chief operating officer at Pixel Qi. The first Pixel Qi product, called 3qi, is a 10.1-inch netbook screen designed to work in three modes: a black-and-white mode for reading text and e-books, and 2 color modes, designed for use indoors or in bright sunlight. This just squeezes under Microsoft’s threshold of a 10.2 inch screen in order to quality for a cheap OEM licence for the Windows 7 Starter edition. Microsoft's pricing scheme of Windows 7 is unusual. Windows 7 will cost $75 for large screen laptops, but $25 for a screen less than 10.2 inches. It is the same software. To utilize the netbook as a "Kindle", netbook users will need e-reader software, which is available from several companies, including Adobe Digital Editions, and Microsoft Reader. Power consumption is another issue Pixel Qi tackled in its 3qi screens. They have addressed the problem with innovative design. E-ink mode extends battery life by shutting off the backlight, and is intended for reading e-books, documents, Web sites or blogs and other text-based material. "What you're looking at is a screen that's entirely reflective," said Ryan, at Pixel Qi's temporary office in Taipei. "It's just running like e-paper so that it's running on the ambient light. It's not fighting the office light , it's not fighting the sunlight. That makes it better for reading but it also cuts the power consumption. The backlight in the screen is typically the largest power drain in any notebook computer." The screens may cost a slightly more than a conventional LCD screens at first, but the costs will go down as production volume picks up. Pixel Qi designs are based on TFT-LCD (thin-film-transistor liquid crystal display) technology, which is the most common technology and production line process. This should simplify manufacturing. "This is going to be a polarizing year," says Francis Sideco, senior wireless analyst with research firm iSuppli. "You are going to see all the partnerships lining up. If Intel had come in a year later, I might have said the ARM world had it all wrapped up. But this is Intel. They are still the biggest semiconductor maker on the planet, and you can't put anything past that R&D machine they have over there." the Cloud Computing concept is tested by the marketplace. The implications are enormous. The leading platform from the netbook battle will have the advantage when similar questions are asked at the next generation of smartphone, what is being called the "genius-phone". The lines continue to blur between notebook computers, netbook computers, and smart phones. A smart phone today has much in common with a notebook computer from 6-8 years ago. Netbook computers currently fill a market niche between notebooks and smart phones. Notebook OEMs are squeezing the niche from the other side. Sony recently introduced a notebook computer that is similar in weight to a netbook. Weighing in at a lithe 1.6 pounds (including battery), the Vaio X is only a half an inch thick. The system includes built-in 3G mobile broadband and a solid-state drive. 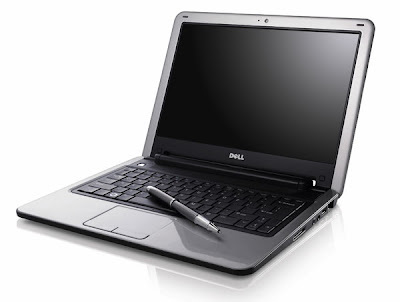 The notebook will utilize Windows 7 Pro with prices starting at $1,300. Sony uses a two-GHz Intel microprocessor for the CPU. In the market space between smartphone and netbook, Qualcomm has introduced what they call a "smartbook", which runs on their ARM processor ("snapdragon"). The device, manufactured by Lenovo, boasts that it is the first system fully flash compliant, making on-line video more accessible. The device size is slightly larger than most smartphones, and includes a full keyboard. Qualcomm believes that by 2014, the amount of monthly mobile data traffic will exceed the total amount of data traffic in all of 2008, and that by 2011, smartphone unit sales will exceed all computer unit sales. The categorization of systems into one group or the other will continue to become more difficult. Vendors already have incentive to avoid the "netbook" label, as consumers are assuming netbook equals cheap.